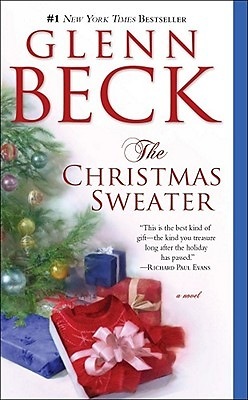 Based on a deeply personal true story, Glenn Beck's bittersweet tale of boyhood memories, wrenching life lessons, and the true meaning of the giving season has touched the hearts of readers everywhere. If you could change your life by reversing your biggest regrets, sorrows, and mistakes . . . would you? When Eddie was twelve years old, all he wanted for Christmas was a bike. He knew money had been tight since his father died, but Eddie dreamed that somehow his mother would find a way to afford that dream bike. What he got from her instead was a sweater. "A stupid, handmade, ugly sweater" that young Eddie left in a crumpled ball in the corner of his room. Scarred deeply by the fateful events that transpired that day, Eddie begins a dark and painful journey toward manhood. It will take wrestling with himself, his faith, and his family--and the guidance of a mysterious neighbor named Russell--to help Eddie find his life's path and finally understand the significance of that simple gift his mother had crafted with love.